I have always been a Maria fan. We love "The Sound of Music." And when I was in fourth grade I was cast as Maria in our school's music program. When I came home from school that day, my mom had left a red carnation in my bedroom along with a magazine article about the von Trapp family that she had photo copied. So, I have always felt a special connection to Maria...I often wondered if I was type-cast in that role, as Maria. I not only looked like her (at least, like the Julie Andrews portrayal of her, with my short haircut,) but when the nuns sing "How do you solve a problem like Maria," I have often thought they could have easily been singing, "How do you solve a problem like Jocelyn?" So, all these years, I have felt a kinship to this woman. I too had to find my way and my place in life. I too have gone from being considered by some to be "a problem to be solved" to understanding that I was a person who had potential! And how did I come to this understanding? And I believed in Someone. The "someones" who believed in me were my parents, patient teachers, coaches, and various church leaders and friends. The Someone who I believed in was God. Well, I got an iPad mini for Christmas, so the first book that I decided to read on iBook was The Story of the Trapp Family Singers, the book on which The Sound of Music is based. OH! How, I loved that book. And I wanted to know more. I felt that my childhood idol was still someone I could emulate! And thankfully so. I went online last night looking for Sound of Music-related items to share with Scarlett, my little singer, who I introduced to the movie over Christmas. I even created a Sound of Music pin board, just to seal my fan status!! Anyway, I had ordered another one of her books from the library, and it came in today. I picked it up this morning and was so surprised to open the cover and find that the book I was holding was a SIGNED copy! Woohoo! Special! 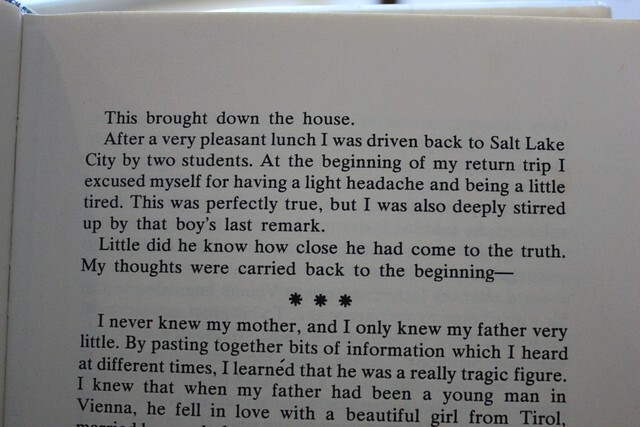 Then I turned the page again to read her dedication..."to the One who made the name Maria famous for all time." Again she did not disappoint. I turned to the first chapter....and what do you know? 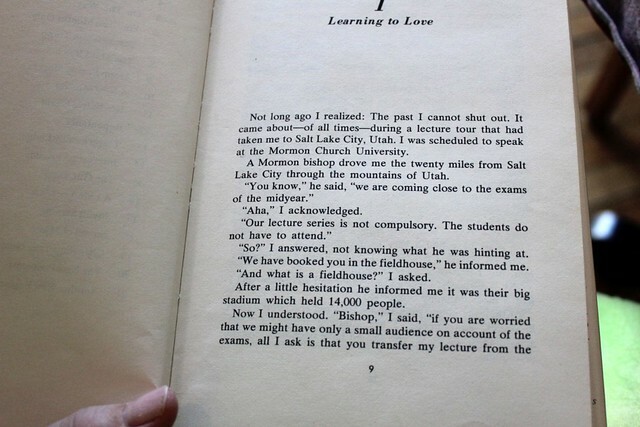 She opens her biography talking about her visit to the "Mormon Church University" where she received the first standing ovation since President Kennedy spoke there. Now, on my iBook, I can easily share passages of books online with others. It's such a neat feature, but if you'd like to read more of how her visit to BYU turned out, you'll have to read the text in these photos...or go get the book yourself. Thanks to the reader who lead me to read more about this delightful lady! not solving a "problem like Maria," but solving problems in the way that Maria would! How cool! I definitely need to add these to my reading list. Yes, do!! Then tell me what you think! 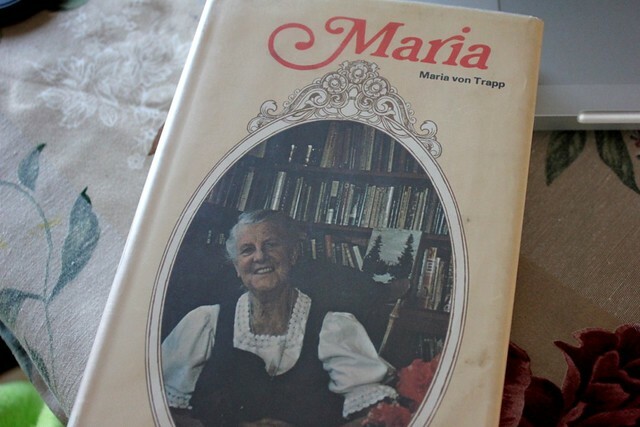 I grew up on The Sound of Music and have had it on my reading list for years to get a biography of Maria, but the local libraries wherever I've lived have never had anything (including currently). Reading those 3 pages you posted just pushed it to the top of the priority list - that's an awesome story. Looks like I need to actually buy something. It's also a dream vacation for me to go to Salzburg just because of the movie, and to visit their lodge in Vermont. Oh and I'm sorry the second page wouldn't rotate for some reason...so it was probably sort of hard to read! Yeah, I'm kicking myself that we never made it to Vermont when we lived closer - I also met the Hubs in DC and we lived there for 5 years (in the Chevy Chase Ward on the NW side). We now live in the deeeeep South. My BIG dream vacation is to take all our kids backpacking across Europe the summer before my oldest graduates from high school, definitely including a stop in Salzburg. She's currently 6 1/2 so we have lots of time to save up for it. Vermont will hopefully be sometime before that - we have US tour plans too, which I could go on and on about but I won't clutter up your comments here. Oh, and I don't know if I've ever commented even though I've been reading your blog for about 2 years - I found you doing a search for Christmas activities for kids. So hello! And thank you! I do want to hear about your US tour plans though...email me! Forget the library, I just ordered a used one from Amazon! Can't wait until it gets here so I can read it. Which one did you get? I suggest reading the first one first...so that would be The Story of the Trapp Family Singers. also of note...that I found yet ANOTHER book that might just be worth something...just floating around my public library. I mean, really? 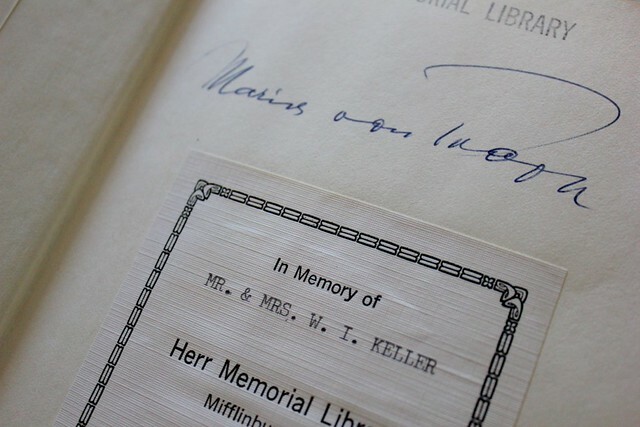 A signed copy? That other children's book wasn't signed, but as you know, it was out of print and was going for $400 online! Geezz! Oh yeah, and just to clarify...I suggest reading the first one first...so that would be The Story of the Trapp Family Singers. Ok I know what I'm doing today...thanks! I recently stumbled on your blog. 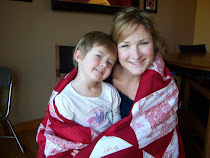 I wondered if I had room in my heart to read another blog...but I have read a few posts THEN I read this post and realized that we are "kindred spirits" (have you read Anne of Green Gables, then you would recognize that reference) I have a sound of music board on pinterest too!! LOL I have decided I need this book and will look for it. You are too funny! Kindred spirit, indeed! Make sure you read The Story of the Trapp Family Singers first...it's best! The Sound of Music is one of my all time favorite movies; I love the story. When the movie came out my husband was on his mission and I went to the movie with his parents. This was a memorable moment. I have never read the book but would love too. I enjoyed reading of her visit to BYU. Thanks for a very sweet and fun post. I loved that you played Marie. Wow, looks very interesting, you should see the fun video my daughters took of me singing The Hills are Alive when we went to Palmyra, it was hilarious but it was fun. I should try buying that book to add to my collection of inspirational books. Oh, I MUST MUST read it!!! I can so relate to this! I've been Maria for years in my head! ...we can easily see ourselves in her awkward misplaced self. Glad that I'm not the only one!